Old Spokes Home's founder, Glenn Eames, spent two years bicycling around the world before he opened this shop in 2000, so our shop is infused with a passion for exploring by bicycle. 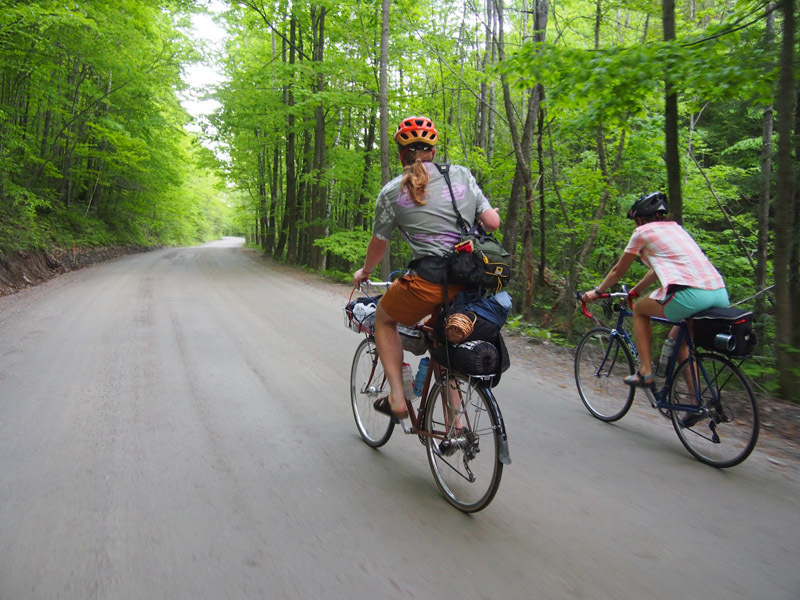 Many of our staff have long term touring experience in Vermont, around the country, and internationally. We love setting people up with apocalypse-ready bikes that they can live off of on their adventures. A world touring bike complete with rear rack and Brooks leather saddle. From the casual commuter to the person who rides around the world more than once, the Disc Trucker is more than capable. It’s a tool designed from the ground up to take you and a bunch of stuff just about anywhere you’d like to go. It is a tool to help you get lost and find yourself. The Disc Trucker is a Long Haul Trucker specifically designed for the unique forces discs impose. It can run discs, racks, and fenders with no jury rigging. Most of the components on the bike are the same as the standard LHT, parts chosen for their balance of technical capability, durability, and value. The drivetrain uses the sort of wide gearing you will need for loaded and unloaded travel, cable operated disc brakes for their proven reliability and ease of service, and hubs that are durable and easy to maintain. Full specifications.